♨ When Google algorithm fails... ♨ Mobile ranking deadline; ♨ Facebook photo posts tanked; ♨ Google+ mobile redesigned; ♨ Official Twitter WP plugin; ♨ YouTube made $0 profit in 2014; ♨ Great Wordpress app update for iOS; ♨ Surprising updates to Disqus; ♨ Net Neutrality passed; ♨ Photoshop turned 25; ♨ Google Panda turned 4; ♨ ... and MUCH more. Between being sick last week (that time a year!) and not a whole lot of marketing news to report, I decided to skip last week’s Weekly Marketing Skinny edition, so this week’s Skinny is a bit fatter since we are doubling up on the news updates. So grab your cup of coffee and let’s catch up on the marketing news that matter to your business. Can you believe it?… Google Panda is 4 years old. Panda 1.0 was released on February 24, 2011. Your ‘become mobile-friendly’ deadline: Google will be expanding the use of mobile-friendliness as a ranking signal starting April 21. This is very relatable for most webmasters… When Google algorithm fails and there isn’t much Google says/does about it. I am all for productivity, yet I was surprise to learn just how many social media shortcuts I had no idea existed. Here’s a great and very helpful infographic to make you a lot more efficient on various social media platforms. Could GooglePlus become GoogleMinus – with Photos and Hangouts separated into their own products? Google+ update: Google Plus for mobile gets a redesign and a speed boost. Just found this awesome text editor for Google Plus that allows you to add formatting such as Bold, Italic, Strikethrough & Symbols to your text, and then convert it for sharing on Google Plus. In a major shift, Facebook photo posts are now the worst performing of all posts by Facebook brand pages. This was mind-blowing. This is very interesting… Facebook’s new Influencer Marketing patent: Facebook just took influencer marketing to a whole new level. Facebook announced Multi-Product ad – show more images in a single ad. Pinterest is working on something similar. Facebook introduced new features to report and support users who seem suicidal. Even more Facebook: it now allows users to add their own gender identities. Twitter has released an official Twitter plugin for WordPress that will allow WP sites to easily embed Twitter content and expand their reach on the social platform. YouTube goes to show: more website traffic is far not enough… YouTube made $4 billion dollars last year and exactly $0 in profit. And that’s probably why YouTube video creators can no longer monetize their videos by prominently promoting their own sponsors due to YouTube policy change. Family-friendly YouTube is here: YouTube Kids launched on Android and iOS. WhatsApp’s web client now works on Firefox and Opera too. Do you like to blog from your iPhone? Good news: WordPress introduced a new HTML-free WYSIWYG visual editor for iOS. In a surprising move, Disqus relaunched its homepage as a full-fledged social network. Even Google Webmaster Tools now urges WordPress users to update their WP Plugins. Everyone wins from safer Internet! Medium update: Medium made itself more accessible to casual bloggers who just want to jot down shorter thoughts. HUGE news of the week: the FCC passed Net Neutrality rules – it approved classification of the Internet as a public utility. Don’t know much about / don’t understand Net Neutrality? Trust me, you are not alone. Here’s what you need to know – as told by one-of-a-knd John Oliver. This was surprising… Meet the most vulnerable operating system of 2014: Mac OS X. Shouldn’t it be Windows?… Not in 2014. Google is working on a Chrome reading mode; here’s how to try it out. Good news: Google’s Inbox now works on Firefox, Safari, iPads, and Android tablets. Can you believe it? Photoshop is 25 years old. Here’s what Photoshop looked like in the early ’90s. Microsoft Outlook.com drops Facebook Messenger and Google Talk and leaves you with no option but to use Microsoft’s Skype for chat. Anna, thank you for your valuable effort.  I appreciate you traffic generation digest. You are very welcome, Kamilo; thanks for coming by.